7/22/18: Cardiff Beach Sand Bonanza! 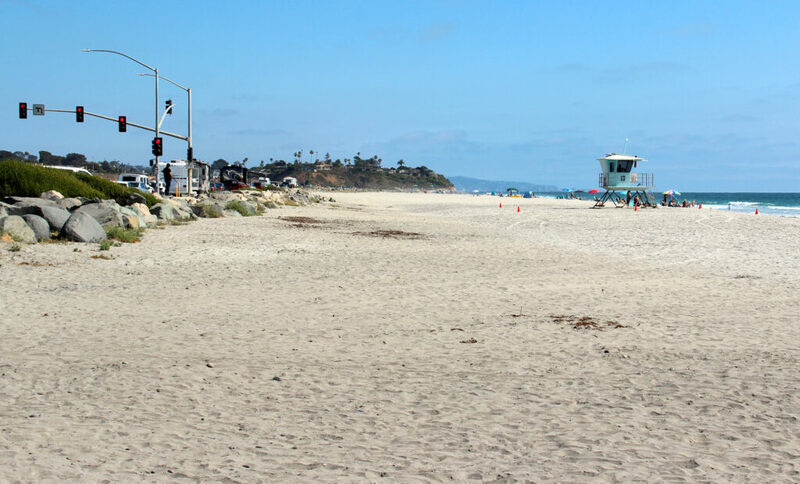 This week Encinitas proudly accepted recognition as one of our nation’s Best Restored Beaches of 2018! The award came from the American Shore and Beach Preservation Association, which recognized Cardiff State Beach as one of the year’s top five restored beaches, the only west coast beach to receive this honor. 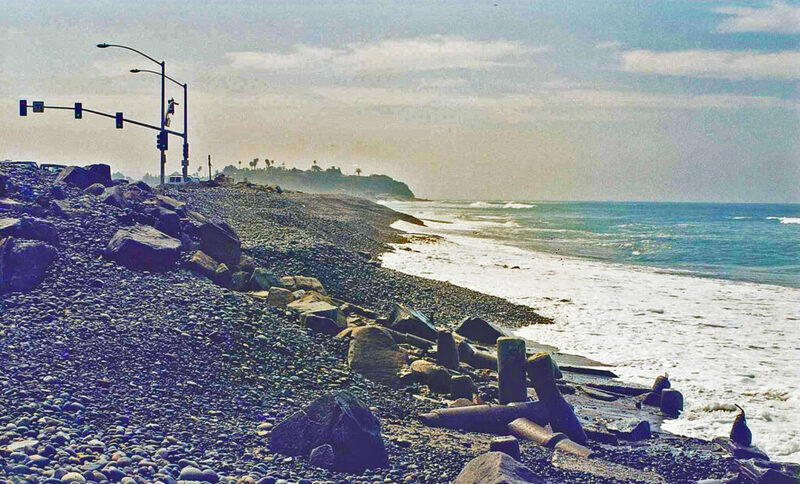 This top photo shows the Cardiff beach in its natural state, filled with cobblestones back in 1998. The bottom photo shows the same location a few days ago, after the just-completed sand replenishment project. An inviting, wide and sandy beach! What strikes me about this transformation is that we’ve created usable, outdoor recreational space where there wasn’t any before. When there’s sand, families come to the beach to picnic, throw frisbees and lay in the sun, while kids build sandcastles and dog lovers bring their furry friends along. When there are only rocks, the beach is nearly impassable and it certainly isn’t a desirable location for a beach towel. Nearly a half million cubic yards of sand were transported through a big pipe from the San Elijo Lagoon, coursing under the highway and onto Cardiff State Beach. As the beach filled with sand for over four months, more sections of pipe were added to the end to progressively distribute sand to the south. Fletcher Cove in Solana Beach also received a major sand infusion. This project simultaneously removes excess sand from the San Elijo Lagoon on the east side of the highway to improve lagoon tidal flushing, protects one of the lowest sections of Highway 101 infrastructure from the ocean’s destructive power and creates a wonderful beach experience. The entire Lagoon Restoration effort is a $118 million project that involves many elements, and is part of a larger 40-year “Build NCC (North Coast Corridor)” project that improves transportation, the environment and coastal access. The committed partnership between state agencies, namely Caltrans, SANDAG and State Parks, the cities of Encinitas (including project manager Kathy Weldon and staff) and Solana Beach, and major stakeholders such as the San Elijo Lagoon Conservancy are responsible for the success. Here’s the link to the front page Encinitas Advocate story this week: “Cardiff Recognized as One of the Nation’s Best Restored Beaches.” And here are two KUSI TV video reports about the project as state, county and city representatives celebrated the recognition at last week’s press conference on the newly restored beach. Sometimes it feels we’re mired in a deep pit of sand when it comes to the agonizing saga of drafting a state-required housing plan. The City Council’s tribulations reflect the community’s passionate differences. The City Council deadlocked 2-2 at our meeting last week on the second reading of the proposed plan, with Councilmembers Tony Kranz and Joe Mosca voting yes, Tasha Boerner Horvath and me voting no, and Mark Muir absent. We’ll revisit this same issue at the August 8 City Council meeting, a mere two days before the August 10 deadline to submit an item to the county registrar for the November ballot. Frankly, it’s been an exhausting odyssey. After experiencing the frustrations of months of efforts on the part of so many motivated local residents, staff and elected representatives, I can honestly say that it doesn’t surprise me that Encinitas has yet to achieve a state-approved housing plan. Nevertheless, we persist! 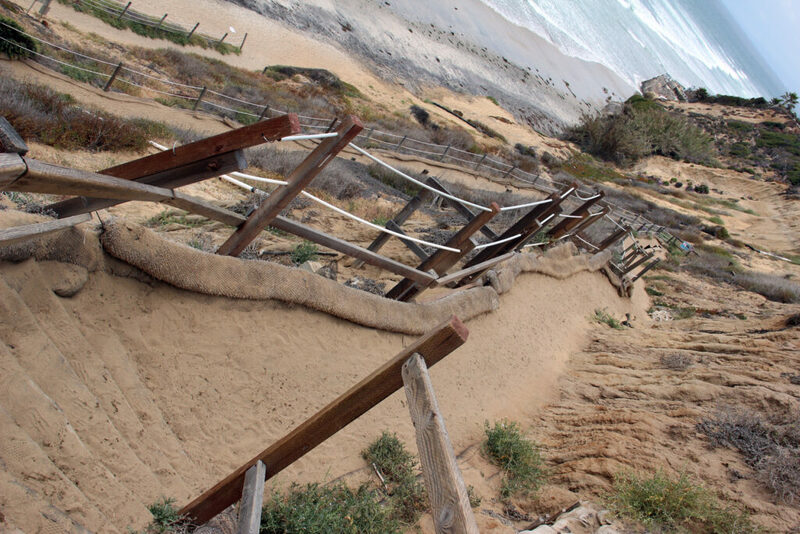 The Planning Commission unanimously rejected the proposed design of a staircase at Beacon’s Beach that will augment the iconic switchback pathway (seen in the photo), asking for more community engagement in the design and a smaller footprint. Recognizing the reality of sea level rise and coastal erosion, the City Council has authorized moving forward with a safe access solution at Beacon’s, but we didn’t prescribe any particular design. The current condition is considered an active slide hazard and this project is motivated by those safety concerns. We rely on the Planning Commission to make exactly this type of independent analysis. I look forward to watching the process unfold as the design is reconsidered with local input. Here’s the story from the Coast News. 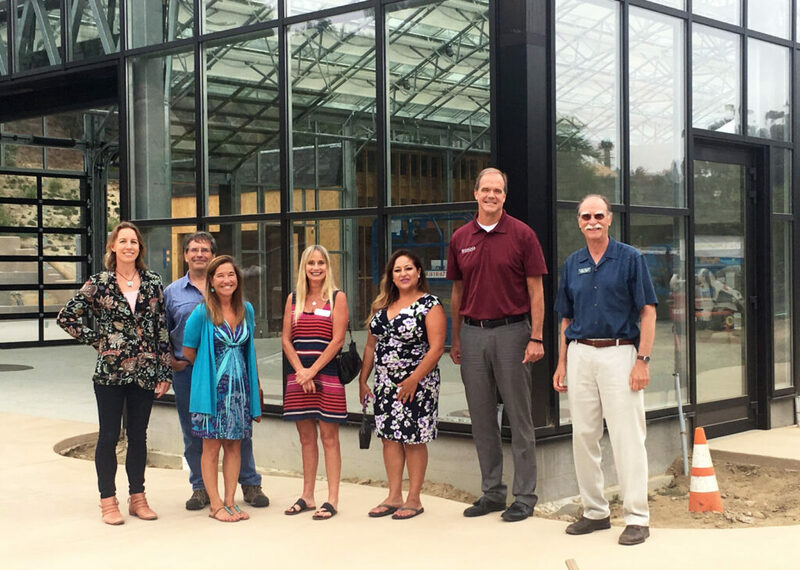 Last week I toured the new conservatory being constructed at the San Diego Botanic Gardens, which will feature large hanging plant chandeliers, among other growing wonders. President/CEO Julian Duval (on the far right in the photo) is retiring in several months after 24 years with the gardens. Here’s more information about the conservatory, and here’s news about the annual Botanic Garden Gala, featuring nearly four dozen cuisine providers. The conservatory is an exciting new building to see taking shape and I can’t wait for it to open. You’re invited to Walk With the Mayor! Our second “Walk with the Mayor” event yesterday morning in Olivenhain was another fun and inspiring experience! 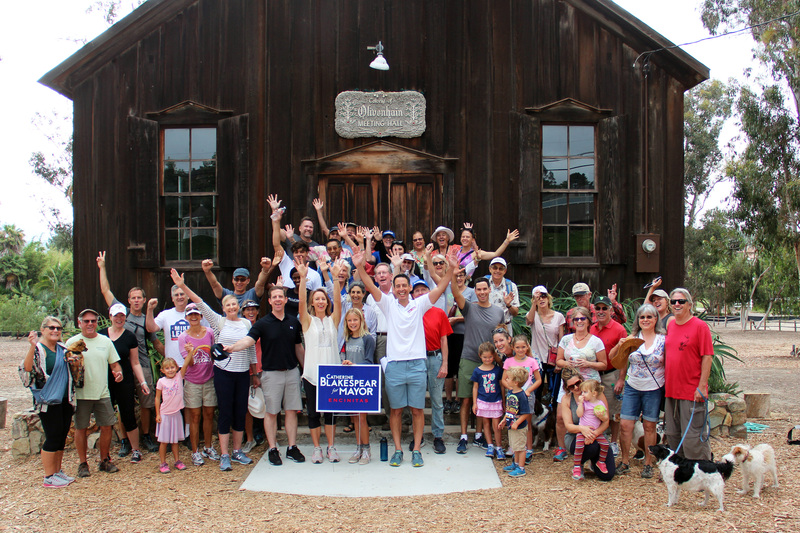 Special guests were City Council District 4 candidate and current City Councilmember Joe Mosca, City Council District 3 candidate Jody Hubbard, and Congressional candidate Mike Levin. 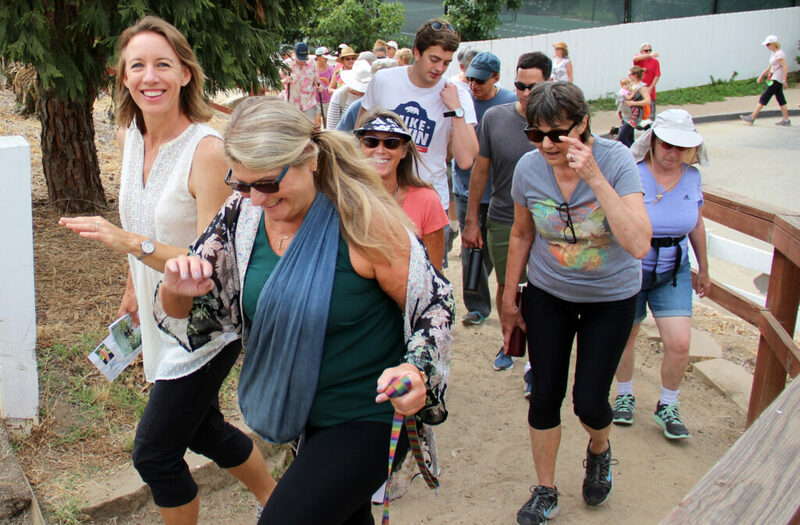 We all got some fresh air and a bit of exercise on the 1.9 mile walk while exchanging ideas about making Encinitas a better place. Special thanks to the Olivenhain-based Encinitas Trails Coalition and Kangen Water! Please join us on our next Walk With the Mayor! We’ll explore the San Elijo Lagoon with longtime Cardiff resident and City Council candidate Jody Hubbard. No RSVP is required, but it’s always appreciated, if possible. You can RSVP on Facebook or on my campaign website. P.S. There’s still room for you at next Sunday afternoon’s Meet & Greet with Mike Levin, candidate for the 49th Congressional District. He’s a strong, principled, viable choice for our crucial U.S. House of Representatives seat this November. MIke will address important national issues, and answer our questions. This is a great chance to meet him and hear his ideas directly. 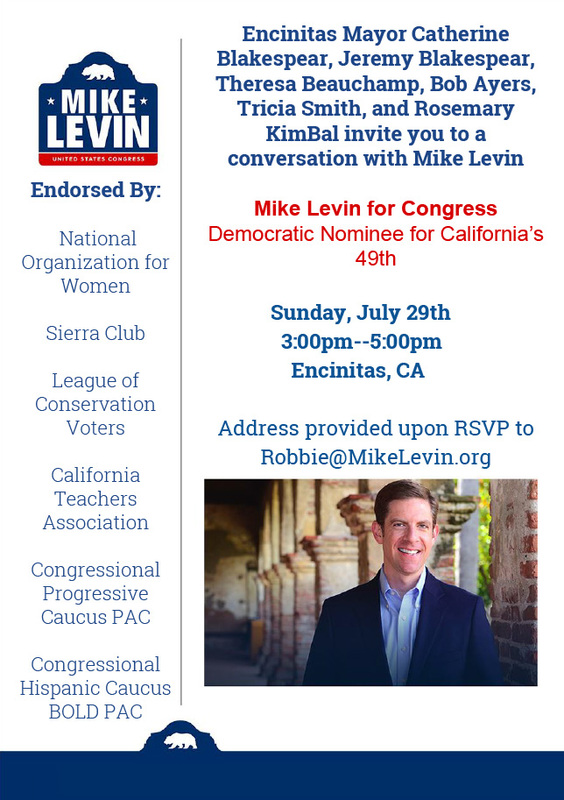 If you’d like to join us on Sunday, July 29 from 3-5 p.m., please RSVP to Robbie@MikeLevin.org. If you can’t make the event but would like to support Mike’s campaign, check out his website here, or you can donate here. The address will be provided upon RSVP.